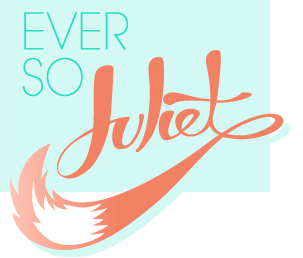 Ever So Juliet | Edinburgh lifestyle blog: Edinburgh Festivals: week one! As my month is pretty much going to revolve around the Edinburgh Festivals, I thought it would be fun to post a wee weekly update on what I've been up to and seen. This will hopefully help inspire Scottish readers looking to do something festivally, or persuade the rest of you to come and visit my favourite city. This was the week of the press launch (the fringe didn't actually officially start until Friday! ), so I got to tag along with a whole heap of journalists & watch lots of acts do tiny slots in super clean (and very newly opened) venues. Hot Dub Time Machine: opened the Underbelly press party and was everything I wanted it to be. It promises to be the Best Party Ever and I am practically counting down the minutes until I get to go! Abandoman: was very, very funny, in an improv rap sort of way. Drum Struck: Assembly Festival opened their gala show by giving us drums (what a joy! ), as the whole audience gets to drum along to this show. I reckon if I ever get bored of science, I've found my other calling. Pajama Men: I HEART THEM, and would quite like to be their pal. I can't believe you haven't bought tickets yet. Puppet Up! : I thought this had lots of potential to be super cheesy and boring, but it was very, very funny indeed. If slighty-sweary muppets doing improv sounds like your thing (or at least, not your idea of hell) then they look well worth a ticket! Michael Che: This is his first year on the fringe, & he's already standing out as one to watch. Late n Live: You HAVE to go. You just have to. It's on 1am - 5am, and it's ridiculous, and brilliant and a Fringe institution. Knee Deep: I find circus/physical theatre quite a strange thing to watch at a festival. I get exhausted clapping all the time (I know, what woe), and find the performers SO impressive that it then seems too easy, and I think I don't appreciate what they are doing. That makes no sense, does it? Anyway, I don't think I could last the whole show, but if amazing circus performance is your cup of tea, then say hi to Knee Deep. Wellington International Ukelele Orchestra: A nice combination of excellent mullets, enthusiastic ukelele strumming and New Zealanders. Fosters beer: There are so many better drinks out there, but I can't quite resist a warmish pint of watery Fosters if I'm at a fringe venue. It just feels right. Akmal: Oh dear. When you are dying on stage, announcing to the audience "I'm really funny back home" is never ever going to win them over. Howard Read: To be fair, he only performed a snippet of his show at the Gilded Balloon launch, but it was a bit awkward and hardly anyone laughed. Hm. Saturday afternoon: After Late n Live finished at 5am on Saturday morning, I ended up going to a very early morning party & then had to navigate my way home through happy, cheery, awake festival crowds a few hours later. Perhaps not my finest moment, but late nights (that turn into early mornings) are all part of August's rugged charm. Hot Dub Time Machine is definitely top of my list this year, it sounds amazing! I was at the Assembly gala as well and thought it was fantastic! There were only about 4 acts that I just thought "...Nah". Off to see Briefs tonight :D And the Pajama Men are definitely on my list of guys to see.